My music draws upon a deep well love and respect for the Earth and the Spirit of all Life, evoking a deepening of consciousness and connection with the Land, the light of truth and the heart. After gigging from the age of 16 I found myself walking away from all that I knew and embarking on a continuing journey of studying and learning from various indigenous traditions from North and South America. As their teachings guided me, their songs awoke a timeless memory within and I began to walk and sing this path of ‘remembering’. My songs are my beloved companions, my angels, teachers and guides from within. The voices of my soul and my deepest heart prayers. I sow these seeds with the prayer that we remember who we are and why we came here, to inspire us to feel deeper as we listen to the guidance of the heart beat of our Mother Earth in this beautiful emerging of these times. I gift 100% of all takings from my MP3 music which is sold by this music medicine shop to the Pachamama Alliance. 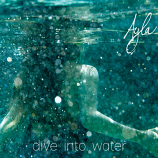 Support Ayla to complete her new album.